Thank you for doing your part to raise awareness for sarcoidosis and joining us for FSR’s 5th Annual Team KISS Walk! We can't wait to see you! 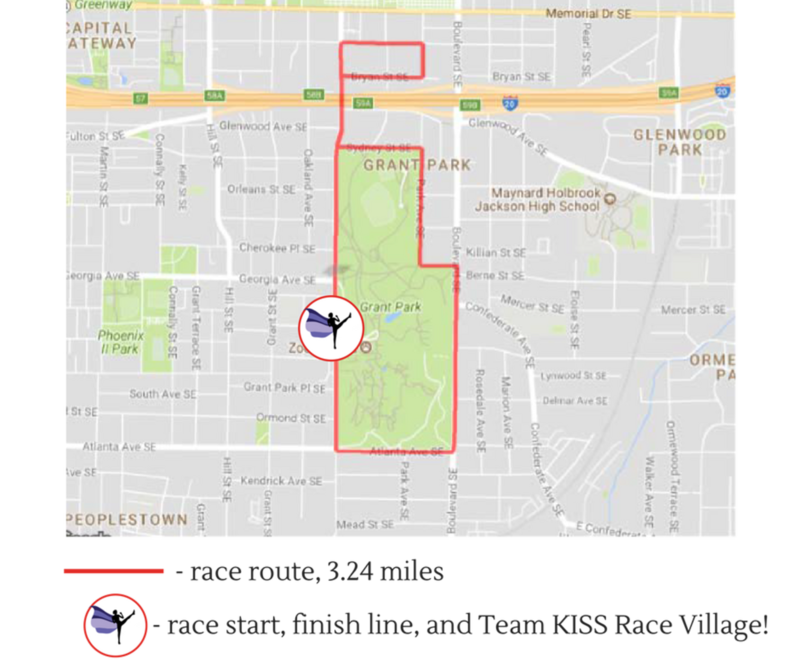 Please see below for participant packet pick-up details, event parking information, a breakdown of the day’s agenda and the race course map. Registration opens at 9:00 a.m., with a brief welcome ceremony beginning at 9:45 a.m. The walk commences at 10:00 a.m. The walk will begin with an optional light warm-up lead by one of our sponsors, Ricardo at Snap Fitness. The route begins and ends at the parking lot- the location of the Team KISS Race Village- creating a loop around the perimeter of the park. 9:45 A.M. - FSR Welcome! We invite everyone to stay for our post walk ceremony taking place at our Race Village at 11:15 a.m.! The fun will just be getting started at our post-race party! After we show our appreciation for top fundraisers, top race finishers, and best costumes, we'll celebrate the progress we're making towards a cure with the rest of the sarcoidosis community. The Team KISS Race Village will include plenty of family-friendly fun, including music, facepainting, a superhero-themed photobooth and more! This is also a great option for those who wish to participate but are unable to walk or run the full distance of the race. On Friday all registered participants will have the option to come meet us for our optional packet pick-up at Big Peach Running Co. During this time, all 2018 Team KISS runners will have the opportunity to get 10% off running shoes and 15% off apparel during packet pickup thanks to our friends and race sponsors at Big Peach Running Co.! *Please note that packet pick-up is optional! Can’t make it? No worries! You will receive your race packet at event check-in. Please enter the parking lot located on 840 Cherokee Ave SE, Atlanta, GA 30315, this is also the Atlanta Zoo parking lot. The Atlanta Zoo parking lot will have a section designated for race parking. Please park in the race parking designated area of the lot. There will be traffic controllers on site for assistance. Our Race Village will be visible from the parking lot and volunteers will be helping you find your way to our check-in! Please see the attached course map to view the start and finish points. Registrations submitted after April 1st, 2018 are subject to experiencing a delay in receiving t-shirts and may not receive a shirt in time for the walk date. Orders placed by March 31st, 2018 will be guaranteed to receive their t-shirt in time for the walk on April 28th, 2018. Day of registration will also be available. Register here if you plan to join us in Atlanta!